Really easy transaction with the employee at the front. Real informative and helpful. CONSIDERO QUE TRABAJAN DE MANERA EFICIENTE, TIENE UN BUEN AMBIENTE DE TRABAJO HACEN SENTIR COMODO, ESTOY MUY COMPLACIDO CON SUS SERVICIOS SIEMPRE SE PUEDE CONTAR CON ELLOS. Cliente por mas de 4 años muy contento con todo el servicio. Staff is very friendly and the access hours are great! Good prices and very close to the Border so it’s very convenient. I like the attention they give the customers. The girls are very kind. I highly recommend this storage facility. Rented a unit before Xmas. Very busy as you might expect, but the staff was amazing. Gary and Doug provide exceptional service (tambien hablan español), access hours are very convenient and the price is right. Quick and easy process to set up a new storage unit. Gary was super friendly and helped us find the best unit available. Will be recommending others! If you need a friendly, convenient storage location with excellent service, then Staxup is the place to come. Thank you Gary for showing us multiple units and location to make sure we had just the right unit. Gary was great on helping me to choose the best option on a storage and answered all my questions. Gary me atendio Ecxelente. Muy professional de su parte. Muy amable excelente customer service. Gary was an excellent service employee. Gave excellent service and price. Thank you Gary. Encontre lo que esperava buen servicio. Estoy conforme con el trato y buen descuento y el espasio que lo esperaba. Gracias Gary. Very friendly and helpful. Made process of finding a unit easy and one that I liked. Thank you Gary for your help. Gary, Buen servicio y atencion. Outstanding customer service. Gary going beyond expectations. Great location if you live across the border. The customer service is great really nice hard working people. 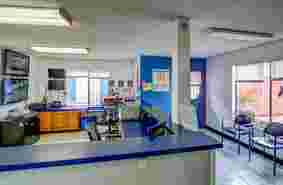 Its a busy facility and the staff still manage to help you with great attitude. Prices are the cheapest but also because the property is not new. The guys outside in the cart work hard to keep it clean and presentable. I recommend to rent. Great place to parked your car if you live across the border. Great access hours and customer service is the best in town. Front desk ladies are awesome and have a good attitude. Monique the manager is great at what she does. I have been renting a storage unit for over 3 years now. The entire staff their are great and are always happy to deal with what problem I may have. Glad to be a customer there. Supper nice people! Everyone is so helpful. The place is clean an very convenient but best of all are the people who are so kind and helpful!!! They are great ambassadors of your company ... would that every company have such happy people working for them. Great price and access hours work well with me crossing the border so early. They are open late too. The staff has great attention to customers. I recommend to rent here. OMG! The best customer service you will receive at a storage office. 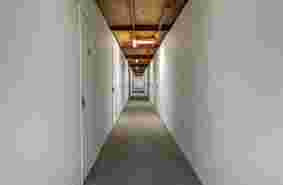 Property is not new but manager did let us know that they are working on getting all inside hallways painted and renovated. The service and attention convince me to rent here. The manager Monique is excellent at her job. She answered all our questions and made us feel really comfortable with choosing this location. I was concerned about security and cleanliness. I feel comfortable as long as Monique and her staff are there. They take this place very serious. Monique helped me find the right unit. They have cameras all around property and the screens in the office helps them keep it safe. Customer service is great from all staff. Great service. Showed me 3 different unit sizes and they were very patient and understanding. Found the right size and unit type for my storage needs. Paperwork took less than 10 min. Recommend to rent here. Nice people to deal with. Girls in the office are very informative and fast. You don't take more than 10 min doing paperwork. The guys outside are very helpful and willing to help you when needed. Thank you. Great service. Busy facility but the staff finds a way to keep it in control and provide you with the help you need. I always come back when in need of storage. Been a customer for the past 10 years on and off. I recommend to rent here. Tengo de cliente mas de 5 anos. El servicio al cliente es super atento. Personal siempre dispuedtos ayudar con cualquier necesidad. Lo recomendo para el uso de bodega. Busy property. Staff very nice they helped me find the right size storage. Im happy with hours and service. 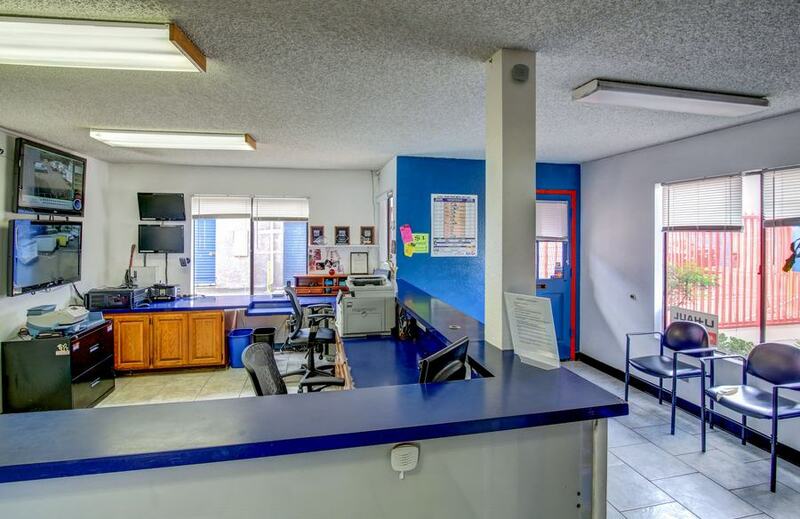 Great location close to the San Ysidro border. Great for my mail and packages to arrive. All the staff working have the best service by far in all San Ysidro area. They make sure to separate my mail and the best part is treat you like family. Local perfecto para el uso de bodega cerca la frontera. El servicio al cliente es lo major. El horario es combeniente. Location perfect for those who have a business across the border. Extended hours are perfect. Great customer service not a new facility but they keep it as clean as they can. Prices had an increase these past two years but they are still the cheapest around. Customer service is the best! I rent here every year for my business needs on the holiday season. I recommend this facility for the prices, security, service, and hours. Great service at front desk. the property is not new but outside staff works hard to keep clean and presentable. I always rent storage here and the price and customer service is what brings me back. I recommend to rent here. Great service. Moving to Mexico Ensenada for the Summer and this location is the nearest to the border. Access hours are great and prices are reasonable. yesenia very patient staff willing to help with my situation.Answered all my questions..thank you!! muy amable yesenia, nos saco de un gran apuro y soluciono nuestro problema..muchas gracias!!! Excellent customer service. Great people working at facility! Excellent service. Friendly and courteous staff. Experience was quick and easy. Me gusta que siempre esta limlio y el service al cliente que ofrecen es exelente muchas gracias. Great customer service. I use this location for all my mail service and storage. I have a buisness in Mexico and all my merchandise gets shipped to StaxUP and the team there handles and has good control of packages. Close to border great location. Great Value for the money paid however egress and regress are a slight issue. Traffic makes getting into the neighborhood difficult at times and the storage location is so popular that at times access is also a bit difficult however I still recommend it. Very professional, helpful staff. Always try to help. Great place! Recommended to everyone! The folks here are awesome! The customer service is excellent! Ms. Korina provided great customer service. Very fast and efficient. Korina and Monique always in great mood helping in everything I need. Korina is very pleasant and is great at her office job. I had a great experience. Very good attention from the staff and good availability. The staff are great people. Good customer service. The streets are very busy. I really want to recommend this place they have good prices, the crew is really nice and polite. Perfect customers service. Very nice people working here. Like that it has cameras on each alley. Manger lives on site so it makes me feel secure about by storage. Customer service is great. Property is a old but you can tell outside team does the best to keep it clean. Friendly staff is what convinced me to rent here. Good pricing storage space. Also great customer service needed. I was welcomed with a big smile. The staff was absolutely fabulous. Great customer service, friendly people and very helpful. Kindness go a long way!!! Awesome team! Gave me great customer service. Never seen a company work so hard and go out of their way to take care of their customers. **Happy Holidays** To all you at StaxUp Storage for being so helpful, friendly, courteous, compassionate, etc. Bueno Horario, y muy amables. Gracias a todo el personal por ser tan amables siempre, y eficientes. Always clean and very well maintained. staff very friendly and helpful. Been there for a few years now, and would not even think of moving to another storage.For only $9.00 more a mo. I have full coverage insurance, for my piece of mind. Amazing customer service. I was going through a really rough time and needed a space to put my stuff and these guys took care of me. The price is reasonable. Security system is great with cameras all over property. I'm moving out because I got my apartment. I highly recommend them and would use them again in a heartbeat. Good customer service. Thank you!!! Reasonable price. I only needed them for a few months but if I ever need storage again I will definitely use this one. Tengo mucho tiempo con la bodega. El personal siempre atento al.cliente el horario es bueno. Buena seguridad y servicio al cliente. Been renting for more than 15 years. This TEAM (because that's what they call each other) is the best. From the girls in the office to the outside guys. First team ever to actually make annual appreciation event for customers. They do a great job as a team running this busy storage facility. Thank you! This is the place to come and rent. The peeps here are super cool friendly outgoing and always on a good mood. Not the newest property but they sure make you feel comfortable and safe. We are very happy to work with the Stax UP Team in San Ysidro- Our business requires us to receive packages on an everyday basis and this brought problems for us in the past, until today! We can finally say that we have peace of mind and that everything is taken care of by the San Ysidro StaxUP team! Great service, absolutely recommend it, no complaints whatsoever! Excellent service, employees always are willing to help, would recommend to anyone that needs a storage near the border. Great customer service. Staff was on point helping me with all my storage needs. Not a modern facility but outside staff maintains the property well. The best price in town. I am glad to say the experience I had with StaxUP San Ysidro management was very professional and friendly. I would not have a second thought to rent a storage unit from this facility. I would recommend to all my friends and family to do business with StaxUP San Ysidro. I've been a customer for almost a year. I think this place is really people friendly. Renters are careless and keep leaving trash. The staff is always working hard trying to keep facility clean and presentable. Is nice to know that the staff is always out keeping an eye. Todo muy Bien. Muy limpias las bodegas. El servicio de recivir mercancia esta controlado estoy complacido con el servicio. Monique and Karen are very professional with excellent customers service. Servicio al cliente es lo major. Tengo mas de 5 años rentando bodega y reciviendo mi mercancia en este local. Me encanta que este localizado cercas de la frontera. Awesome service, fast and convenient. I got a 5x5 for $40. The paperwork took less than ten minutes. Units are clean. Cliente mas de 7 años. Contento con el servicio al cliente y horario. Estoy comodo y recomiendo este lugar para el uso de bodegas. Property is not new. 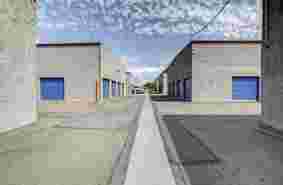 But the facility is fairly clean with the best priced, and friendliest place I found the manager was very knowledgeable and helped me find the best unit for my needs. I will recommend this place to anyone I know who is looking for a storage unit. The busiest facility with traffic coming in and out at all times. The team of young staff manages to always have positive attitudes and sure try to keep property as presentable as possible. Great job! Smiles, Smiles, Smiles is what we see everytime we walk in to the office. Great customer service always make us feel important. Customer service is prompt and efficient and the staff are friendly, helpful and happy to serve you. Incredible staff. Very nice, friendly and helpful! Good service when I come to get my packages. They have a great system and have control of packages. Busy with traffic all day but they still manage to keep property as clean possible. I will recommend. Great hours. Been a customer for more than 5 years. Happy with management. I wont move or rent at any other place. Busy property, staff still manage to keep a great attitude with all the traffic and trash left behind. They all do a great job running the facility. Good customer service. Clean place and secure they have a great video system. Office staff was very nice and great to work with. Highly recommend! Hassle free. This is an older property and shows wear but is well maintained property. My move in worked well and the friendliness and service provided was superb. For the price - very reasonable - it could not be beat. Buena atencion de cliente. Buenos precios y cerca de la linea. El personal muy attentos y con una linda personalidad. Best customer service from the ladies in the office. Jaime was a great help with unloading some big furniture. I recommend this facility for storage needs. I have a unit here. The hours are very convenient. The customer service I received is excellent. Definetely recommend it. Best customer service. Everyone was very helpful throughout the whole move, definitely recommend. Great place. Close to the border access hours are extended. The Manager Monique is great she takes good care of the property and her customers. The staff customer service is the best. If you need storage this is the best place in town. It was last min plans to find a storage. Office staff the two girls Monique and Laura were very helpful and nice. They showed me 4 different sizes due to me not having a clue what I needed. They have patience and understanding on a desperate situation. Recommend to rent here if you want great service. Easy access storages for a very good price. Doesn't compare to other places.... other facilities where charging me twice the price from what they charge here. Plus it helps that it's so close to the border for me maybe like 3 exits away. I recently relocated from Los Angeles to Tijuana. I was in need of a convenient location to receive my Amazon packages. I also needed to store some items that won't be crossing the boarder. This place has a friendly staff. There are no excessive fees. Clean, Safe & Friendly. Staff is kind and very helpful. Excellent service. facillity very close to border. Very nice friendly staff - great customer service - needed door adjustment and it was done immediately. Thanks Jamie. The rates are the lowest I found and the place is clean and well maintained. The only drawback for me is it's a bit of a drive - but well worth it. Highly recommended if you need storage. Nice people on the office. Young man showed me 5 different units and was very nice and patience. I had no idea of what size and after I told the manager what I was storing she was quick to recommend the right size. She knows all her storage stuff. Security is good. The staff is awesome, facilities are clean and they make it easy to access them by having reasonable hours of operation! Fantastic staff: friendly, helpful and kind. Awesome storage facility and management. Only thing I wish they had elevators. Other than that absolutely no complaints!! Great customer service by Gary. Great deals and the eager to help was outstanding. Thank you Gary and friendly staff. Lots of different options here. Best thing about it is the customer service. Gary went around and showed us multiple units to make sure we had the right one. Thank you! IT was a execelt and and very professional most of staff specially Laura And Korina when out of the way to assisted me with my needs. Really great staff. Always friendly and always efficient. Very quiet & clean reasonable rates, friendly employees & they have security! Office staff is awesome. They give deals to move in. Conveinient location close to the border. 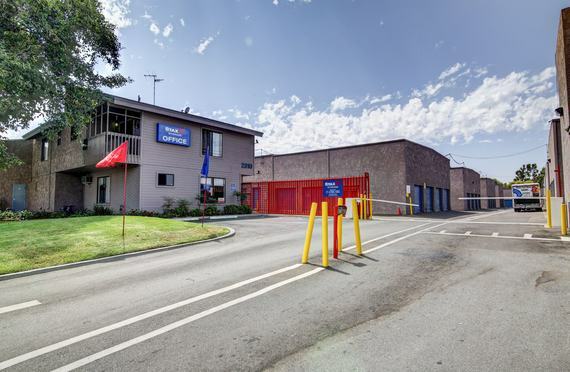 The perfect self storage unit for you is waiting for you at StaxUP Storage! Our facility is located at 2310 Via Tercero in San Ysidro, CA, just north of the border and a short drive away from Tijuana. We're right off I-5, making us easily accessible to the entire area, from Otay Mesa West to Ocean View Hills. Whether you live in National City, Chula Vista, Imperial Beach, or another nearby community, we’re close by and easy to find. Come visit us and let us show you our facility! Our facility is among the most popular storage facilities in the San Ysidro, CA area, and you’ll see why when you visit our facility. We offer a broad range of storage unit sizes with a variety of features, from our drive-up access to our affordable RV and boat storage options. Whatever it is you need to store, we’re confident that we have a unit that’s perfectly suited to your needs. Our staff is friendly, bilingual, and always willing to help you through the storage process. We’re eager to provide you with the clean, affordable storage solution that you need and deserve. Contact us today to reserve your unit! Here at StaxUP Storage, we know our success is due to our wonderful team. The care they give our renters is unparalleled and we want to highlight their milestones along the way. Below is an interview with San Ysidro team member Monique Quintana-Padilla who is celebrating her 10-year anniversary with StaxUP Storage this week. All interviews are performed by Peter Soto. Monique Quintana-Padilla, facility manager at StaxUP Storage in San Ysidro. Peter: Wow, you really worked your way up there. Monique: Yes. And I liked it. I mean, I had to work for companies and stuff where I was like, “Oh, I have to go to work.” And here, it wasn’t like that. Here, it’s like, I didn’t even mind to have to get up, and go to work, and deal with the customers and – so that’s why I think I’m still here. I really do enjoy what I do. Peter: That’s great. That’s awesome to hear. So I mean, 10 years is a long time. Do you have any kind of go-to stories or when you talk to people about your job, is there anything really interesting, or exciting, or weird that’s happened over the last decade? Monique: So I do customer appreciation for them once a year. And I do little things for my customers. They’ve been with us for so long, and thanks to them, we’re still here. And they even say that you’re the – I mean, they’re very grateful that I’m the one managing the facility and they tell me – I think they’re okay with me handling it. Peter: Yeah. It sounds like you guys have a great relationship. Monique: Yes. And that’s one of the things that – one of the questions was, what was the best thing you’ve learned working with StaxUP I mean, definitely teamwork, and then one other, I think, is customer relationship. I mean, I know I had good customer service, but working here, my customer relationship was – I think, that’s the best thing I’ve learned working with StaxUP and storage facilities, you just build these relationships with these customers being here for so long, they’re practically like family now, you feel, and these customers, they run their business out of here, so I see them every day. Monday through Friday, we see each other. We say hi, we tell our life stories, what did you do this weekend, stuff like that. So it’s great. Peter: Oh, that’s awesome. Wow, yeah. I mean, it sounds like you really enjoy it. One of the things that I’ve heard from a lot of the people I’ve talked to so far is that StaxUP? kind of allows their managers to really take ownership of their facilities and do things on kind of the way that they want on their schedule, that type of deal. Is that kind of what you found, working there for the last 10 years? Monique: Yes. Definitely. You have to adapt to your facility. You have to learn and, like I said, build a relationship with your customers. Get to know them. See what they need, why. Because if you try to run a facility by – I don’t know. I mean, how I can say it, by the book, and this is how it has to be run, then you’re going to lose a lot of your current customers because they’re already here. So you have to adapt to what they like, but then you also have to draw that line of, I guess, I don’t know, respect their boundaries. But yeah. It’s great. It’s great. Yeah. Peter: That’s awesome. Well, hey, so do you live in the area? Do you live in the San Diego area or are you down closer to the border or, where are you at? Monique: I’m in the facility. I live on-site. Peter: Oh. You’re the on-site manager? Peter: Yeah. That’s a really interesting facility. I remember visiting that one. That was one of my favorite ones going down to see. You guys are really big, right? Monique: Yes. We have over 13 buildings, over 1800 units, so massive traffic coming in and out of here. Peter: Oh, yeah. So really, it is like a little city? Monique: It is. It is. It’s my little city here. Yeah. Peter: It’s like you’re the mayor or the dictator. Monique: Yeah. There you go. Peter: That’s great. So anybody who’s coming into that area. If I hadn’t visited that area before, what is something that you would say that I should not miss while I’m down there or what’s a really nice thing to do or restaurant to eat at, anything like that? Monique: Here in this area, in San Ysidro area? Monique: Let’s see, what – I mean, definitely, you have to go to the fruiteria. It’s basically a little shop and all they sell is fruit, salads, sandwiches. It’s a Mexican place, basically. Peter: Nice, that sounds delicious. Monique: They make these, what we call them diablitos, little devils. And it’s basically it’s like mango sherbet and they have a bunch of chile and chamoy is like this sauce on top. It’s a spicy thing, but it’s really awesome. Peter: Oh man, that sounds great. Monique: It’s a fruiteria. Yeah, that’s what they do. They just specialize on fruits, and sandwiches, and movies, and shakes, and stuff. But it’s really good. Peter: Oh yeah, we’ll definitely have to get one of those when – or some of that when we’re down there next time. Peter: What makes a TJ taco a TJ taco? Monique: They’re little, small corn tortillas. And just the way – I mean, it just depends. It just depends. It’s weird. You can’t go to any taco shop and have a carne asada taco without it being like a TJ taco. You just can’t. It’s a small corn tortilla. And it’s just the type or kind of meat you get, but the tortilla is warm in the same grease of that meat, basically. Monique: So they kind of dip it on the grease, and then they put it on the warmers and they – I think that’s what it is. I think that’s what gives it the flavor. Monique: It is. It’s really good. Peter: Oh, man, I’m glad it’s almost lunchtime over here. This interview is making me super-hungry. Is there anyone you want to give a shout-out at StaxUP or at the corporate office? Monique: I mean somebody from the company will definitely be my husband. I just got married. Monique: When was it, Doug? I don’t even know my marriage date, God. It’s February, 16. We just went to Vegas. We’ve been together for so long. He works for the company too. He’s in the maintenance team. His name is Ed Fontes. Yeah, let’s give him a shout-out. And then definitely, definitely, Mary. I’m so grateful that she basically took me under her wing. When I first started 10 years ago, I was – I want to say I was not a team player. I like to work as a team, but I was really bossy. I wanted things to be done a certain way. Thanks to her, and her leadership, and examples, she helped me to grow into what my potential is right now. And definitely, I would not be where I am without her. Here at StaxUp Storage, we know our success is due to our wonderful team. The care they give our renters is unparalleled and we want to highlight their milestones along the way. Below is an interview with San Ysidro team member Laura Bravo, who is celebrating her 1-year anniversary with StaxUp Storage this week. Laura Bravo, assistant manager at StaxUp San Ysidro, is celebrating her 1-year anniversary with StaxUp this week! Laura is an assistant manager at StaxUP Storage – San Ysidro. Peter: How did you get started in the self storage business and matched up with StaxUp? Laura: Well, I have a friend who is cousins with some of the employees here and she told me how good of a company it is. She said that if there is ever an opportunity open that I should jump on it, because you can really grow at that company. And I was like, you know what, I should and I did and, you know what, it’s been great, really good and I’m glad I did. Peter: What is it that makes you like StaxUP so much? Laura: I like how the company is not very corporate. You know? They care about you. As long as you are doing your job, it’s a really good work place. I’ve worked at places that were really by the book. With StaxUP, they’re really easy to work with. With everything that comes up, it’s just a lesson. Monique has been really good to work with. She has taught me a lot. I like this company. They help you learn and they help you grow a lot. Peter: I’ve heard that from a lot of the team members. After a year do you have any stories? Laura: It’s always fun to work here. Every day is a different day. Nothing too crazy. We work together and I like it. Peter: You’re at kind of an interesting facility, right? Laura: Yeah, we’re down in San Ysidro, basically right by the border across from Tijuana. We get crazy traffic during the summer. It is normal for there to be 1 or more vehicles in the paths through StaxUP Storage in San Ysidro. Peter: What is all the traffic from during the summer? Laura: The mall is really near by, Las Americas Outlet, so a lot of the stores get extra storage and then some people buy a lot of stuff and cross it to TJ, so we have a lot of customers. A lot of people keep their unit for a long time, because they are selling, a lot of people from the swap meet. It’s just a lot of different people, but that’s mainly what we have here. Peter: So you aren’t always at work. Do you have any hobbies that people at the company might not know about? Laura: I just like being outdoors a lot. I get to do that a little more than normal with this job, but I like to go hiking, be at the beach, go to the park. Now that I have a baby, he loves being outdoors. Peter: He took after momma. Laura: Haha, yeah, of course. The beach and a hiking trail at Torrey Pines State Reserve. Peter: That’s great what’s your favorite hike in the area? Laura: Torrey Pines is the best. There’s a little hike new the beach and a bunch of different trails. There are many different hikes you can take and some of them lead to the beach. Even during cold weather it’s a good time. It never gets too cold here. Peter: I’m jealous. So, are there any restaurants in the area that you enjoy. Laura: I just go to the mall. Usually there are a lot of places to eat. I usually go to Buffalo Wild Wings. BJ’s I like a lot. Peter: At the end of these, I have been asking if there is anyone you’d like to give a shout out to. Is there anyone at the facility or the home office you would like to give a shout out to? Laura: Yes, for sure Monique. She has been a really good teacher. She goes through things so easily. She never gives me a hard time. She teaches me the way that she was taught and it’s really easy and I learned it so quick. It’s been really fun working with her. HAPPY 3-YEAR ANNIVERSARY TO DOUG LEEP! Here at StaxUp Storage, we know our success is due to our wonderful team. The care they give our renters is unparalleled and we want to highlight their milestones along the way. Below is an interview with San Ysidro, CA team member Doug Leep, who is celebrating his 3-year anniversary with StaxUP Storage this week. Doug Leep is a member of the StaxUP San Ysidro team. Doug is a member of the team at StaxUP Storage – San Ysidro. Peter: Hey Doug, thanks for taking the time to speak with me. I know how busy StaxUP San Ysidro can be. Did you get a chance to look over the questions we emailed? Did anything look like it was out of left field? Doug: No, it was in right field. Hahaha, I used to play right field, right center field was my position when I played softball for 10 years. Doug: It was that speed. I was fast. Peter: Yeah, yeah. You need the fast guys out there, because all of those right handed hitters are going to try and pull it. Doug: Yeah, so ten years of it, traveling all over California. I played in a league here in San Diego. We’d take three teams with us. We’d take a women’s team with us. I have a few trophies and plaques from the years that I played. Peter: Do you not play anymore? Doug: No, it’s been like ten years. We used to play in a league, but then we started playing in tournaments. That’s when we traveled a lot, on the weekends, but I just turned the big six-oh this year, so I don’t have the wheels like I once used to. Peter: Gotcha, not the wheels that you had when you were 50. Doug: No, no, hahaha. I still have my glove and my shoes and a bag of balls. I like to go out and throw it around a little bit, beat it around a little bit with the buddies. We don’t play tournaments anymore. Peter: That’s cool, man. It’s good to have a hobby like that. Do you have any hobbies that you still get to do now a days? Doug: I’m a bowling person. I’m a golf person. I’ve done a lot of the different sports to compete. I don’t do as much as I once used to. I got a few bowling trophies. We got a bag of golf clubs, but I don’t go out like I once used to. We put them away in a closet and we don’t see it again for a while. Or in the garage somewhere, you know? Peter: Not the self storage unit though? Peter: Haha, that’s funny. Do you live down in the San Ysidro area, around the facility? Doug: No. I used to live downtown in San Diego for about 15 years, but I moved. Peter: What prompted the move? Doug: Just getting a little more expensive to live in the Gaslamp. Peter: Yeah, that area is just exploding. Doug: Yep, so that’s what it is. Like anything else around San Diego. I’ve been here for 30 years, so I’m getting ready to kind of bail out maybe one day. 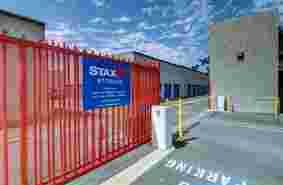 The StaxUP Storage front office in San Ysidro, California. Peter: Oh, you’ve seen a lot of change then. Doug: It’s not really getting better for us – trying to buy and rent and everything else. When people look at the houses and what they were worth maybe two years ago when they were trying to buy and then say that they should just wait off a year, then look at what happens when it goes so far up in a year when they were looking at property last year. It’s kind of crazy. Peter: The housing market in California is just insane. I’m just going to back up and ask you about self storage a little bit. So how did you get involved with StaxUP Storage? Doug: Well, it was when I was at Ballpark, Josh was there back in them times and he had me do a few projects for him around the property at ballpark and then once he went to El Cajon, I helped them during the transition when they were doing the remodeling and then, of course, Julie and them came out and they said, “Well, why don’t you just come up to the office and fill out an application to do maintenance?” So that’s how I became a team member. Doug: It’s all because of Josh. He’s the one who got my foot in the door. Peter: So you’ve been in self storage for a little while now. What’s it like working for StaxUP Storage? Doug: I enjoy it. The team is great to work with. Monique is outstanding. Same with her mom. Can’t find no two better managers than them. We’ve got a great team here. We went through a few transitions of people that we’ve had, but it is an awesome team. It’s a great location. If you can work at this location, it’s a piece of cake anywhere else. Peter: Yeah, you are pretty high traffic in San Ysidro, right? Doug: Because we are 1850 some units. 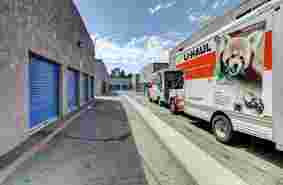 We do UHaul trucks and trailers and then we also have parcel pickup and packages and mail service, so we’re busy all day long. We always have our track shoes on. Peter: That’s more than a self storage facility. That’s like a little city. There’s just so much going on there. Doug: Yeah, if you want training come here, because it will be a piece of cake anywhere else you go. Peter: Self storage is kind of a unique business. It seems more personal. Have you had any experiences where you’ve really helped someone out? Doug: Especially if there are old people coming in, ladies or seniors, if they need help unloading, I’ll help unload their truck or UHaul and bring it up into the building. I’ve helped with that many times. I just did that a couple days ago. If I have a few minutes, I’m willing to help out. I’m there for them. Peter: I’m sure they appreciate it. Is there anything else that’s unique about the facility? Doug: Our location is unique, because we are down close to the border, so our traffic is vendors and people who do swap meets and stuff here. For our location, we have a lot of people who live across, over there on the border and then they work over here, but ours is mostly vendors and I think that’s why our location is so appealing to people when they go on the internet or they come and stop in as a walk in and they see our facility because we are right here close to the border. 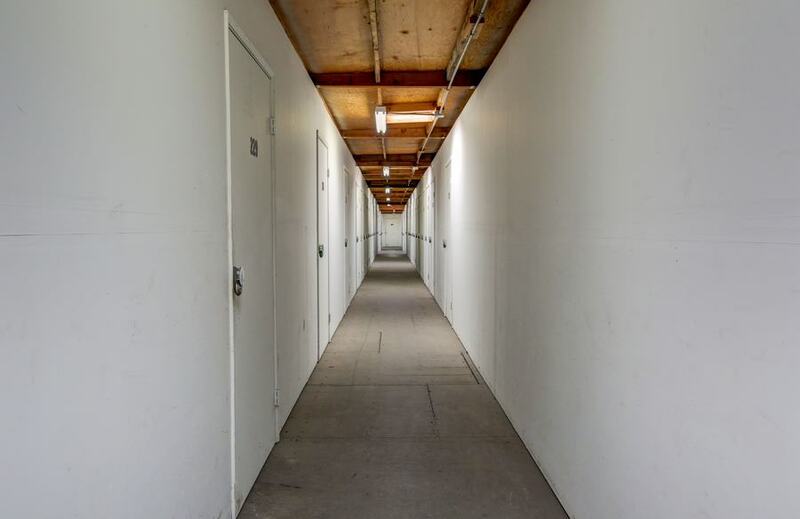 A lot of our renters are transporting stuff back and forth, they receive packages and they store the stuff in their unit, but I think that is what is appealing, that we are so close to the border. A lot of the companies that are in this area also have storage. We have wide lanes at StaxUP Storage in San Ysidro to make your move as convenient as possible! Peter: So you’re really helping local business with extra storage space, a place for inventory. Doug: Yes, yes. Most of our high end, bigger units on this property are all people who own stores themselves. Peter: So you’re not always at the self storage facility. Are you married? Do you have kids? Doug: No, no, I’m single. Sixty, single and my parents are gone. My grandparents are gone. I have three brothers, four sisters. Peter: Being single is the way to go. Doug: Every now and then we’ll give a shout out. Peter: That’s good. Are there any restaurants near the facility that are worth trying out? Doug: There’s a Don Chito’s and that’s where you can get some good chilaquiles. Doug: Yeah, and that’s about the only one. I usually bring my own lunch. Peter: That was everything. At the end of these I like to ask if that is anyone at StaxUP Storage that you think deserves a shout out. Would you like to give anyone a shout out? Doug: Well, it has to be Josh, because he’s the one who got me in the doorway. I know he’s not with the property anymore, but he’s the guy who got my foot in the door to help him out and then I went out there to El Cajon and then, of course, Julie got me to come up to the office, but it has to be Josh, you know? Peter: Good guy for sure. Doug: Yeah, yeah, real good guy. SELF STORAGE MILESTONE: HAPPY 2-YEAR ANNIVERSARY TO LAURA CASTILLON! Here at StaxUP Storage, we know our success is due to our wonderful team. The care they give our renters is unparalleled and we want to highlight their milestones along the way. Below is an interview with team member Laura Castillon, who is celebrating her 2-year anniversary with StaxUP Storage. You can meet Laura at StaxUP Storage in San Ysidro. Colby: Okay, so this is year two? Tell me a little about what storage has been like in your first two years, was it at all what you had expected, or has it been quite a bit different than what you thought you were getting yourself into? Laura: Well everything changes over time and at the beginning I was more nervous about things. Going through the initial motions of doing contracts, but now I am a little more confident and I have gotten so much better at problem solving. Experience helps, I’m getting there. Colby: What would you tell someone if they were going to apply for a job in self storage and had no experience in the industry? Laura: I would tell them that self storage is very interesting. It is something that is much more busy and hectic at times than you would probably imagine. A lot of customers, but it keeps you busy and it’s something different. Colby: Basically, don’t apply if you think it’s going to be a walk in the park every day. Colby: Is there anything that stands out in your mind as a highlight story or positive work experience? Laura: Yes, we get a lot of people that are moving, and moving is hard for people. We have some clients that just need a cheerful person to give them a pick-me-up. That is what makes people grateful and I have had a lot of customers that are so thankful that I take a little extra time to be there for them personally. That makes me feel good that I can make a difference for them. Colby: And a lot of people probably don’t even expect that level of personal service. Tell me a little bit about yourself Laura. What are some of your hobbies, and what keeps you busy when you aren’t at work? Laura: I love the outdoors. That’s one of the things I really like about this job. When I am at home I have a 2-year-old and we spend a lot of time outdoors just running around. Whatever keeps us outside and busy. Colby: So long as he is tired at the end of the day, right? Laura: Exactly, so he’ll want to take a nap. Colby: Haha! What would you say is your favorite restaurant in the area? Where do you like to go especially if you are going to celebrate something like an anniversary? Laura: PF Changs is really good. I like Mexican food mainly, nothing too fancy. There’s a new place I tried recently, Salud. That was excellent. Colby: What’s your favorite thing to do in the city, or to take the little guy to? Laura: We like to go to a bunch of different parks. One time we drove to L.A. and went to a bunch of different parks and piers. Basically any little park or lake we like to check out. We go to a lot of different public parks and outdoor activities. Colby: Exploring, nice . Is there anybody that you would like to give a shout out to that’s helped you along over the last couple of years? Laura: Monique has always been a big help. She has guided me through a lot of things. Whether it’s advice and no matter what store she is at she is always there to help me. Gary also. They have both helped me through anything no problem. There are a bunch more to thank I am sure but those come to mind right away. 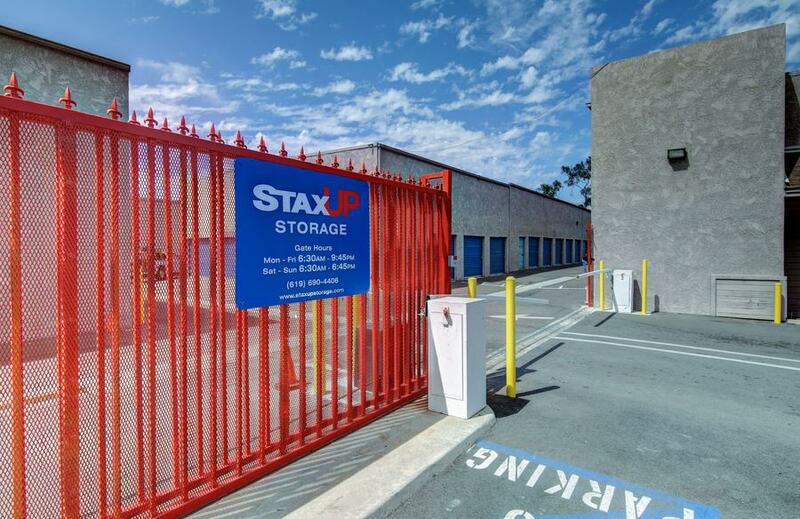 At StaxUP Storage in San Ysidro, we like to celebrate Mother’s Day with a colorful token of affection. Laura Castillon, San Ysidro Facility Manager, told us all about how they honor mothers with their flower giveaway happening from May 11th through the 13th. “Every year, we give flowers out for Mother’s Day, and for Mexican Mother’s Day, because we are so close to the border. We try to get different colors and then we let them pick which roses they want. Laura says that the flowers are bought from a local shop, ensuring that they are as fresh and beautiful as possible. Sometimes it surprises our customers when our locations are so committed to celebrating holidays. Laura says that the flowers and candy are their way of showing they truly care about their customers, and not about getting customers in and out of the facility. In the future, Laura would like to give out flowers to kids more often so they can surprise their mother. So if you are planning on stopping by the facility, why not bring the little ones along so they can pick up a flower for Mom? Laura and the rest of her crew are excited to say hi to all of their customers and make everyone’s Mother’s Day a little brighter with their flowers.